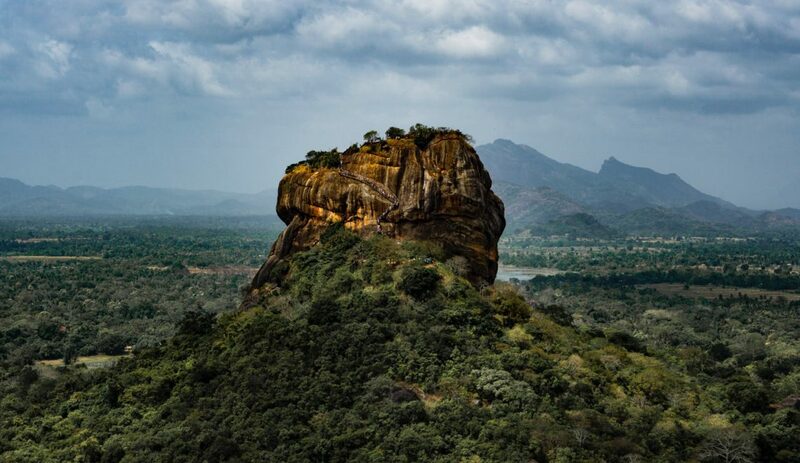 While traveling in Sri Lanka at least one National Park need to be on your bucket list. As the tear-drop island has some to offer a lot of tourists coming to Sri Lanka are unsure which one to visit. The following blog post will describe some experiences and facts on Yala National Park and Uda Walawe, Yala’s little brother. First off, both are amazing but not as easy to reach as Kandy, Colombo or Hikkaduwa as no train is going. Sri Lankans know that an increasing number of tourists are coming every year, thus bus connections get better and better. Some busses are crowded, but for an hour or two it’s fairly ok to travel. And hey, you will see at least a couple of elephants, which is a nice treat. Yala National Park is a combination of nature reserve and park and is Sri Lanka’s most visited and second biggest National Park with 1,268 square kilometers. The whole reserve is divided into five blocks, whereas block one is mostly visited because it inhabits 25 leopards. That’s why it’s considered to be one of the best national parks in the world. Best time to visit is February until July. Beside leopards and elephants you can see jackals, jungle bears, crocodiles and much more. Yala National Park is supposed to be breath-taking and I bet we would not have regret going there but on our trip it was just more convenient to stop at Uda Walawe thus we decided against the leopards and “just” for some elephants. Nevertheless, another backpacker told us that Yala should be awesome but a bit more touristic and hectic as Uda Walawe. If you are lucky you can see Leopards here, which you cannot in Uda Walawe. Price (we’ve paid): 4,000 LKR per person, Morning Safari: 5:00 – 9:30 am, Accomodation: Ath Paura Safari Resort $9. Uda Walawe National Park inhabits more than 500 elephants and the best time to see them is 6am – 10am and then again 2pm – 6pm. Uda Walawe shows visitors again how diverse Sri Lanka is. In our case: Heading back to the coast after staying a while in the highlands for Sinhalese New Year stopping by for a safari with East African flair. Whereas the weather in Nuwara Eliya was fairly “cold” in the evening (compared to the coast) we literally got roasted when stepping out of our van with air condition after driving three hours. In the morning we took the Tuk-Tuk from Nuwara Eliya to its railway station Nanu Oya. Here we took the train for one of the most beautiful train rides in the world: Nanu Oya to Ella heading to Haputale. Back in Kandy we decided to order a private driver at “Travel Choice” as it was new year’s day and no government bus (which are almost all busses) was scheduled. Once we arrived in Ella – after a really beautiful train ride – we met our driver and went to Uda Walawe. After spending $60 per night in Nuwara Eliya we wanted to save some bucks and booked Ath Paura Safari Resort for $9, which was on the edge from “ok for one night” to slightly disgusting because of damp and not very clean rooms. As we were on vacations and did not want to spread negative vibes we decided to call it “ok for one night”. 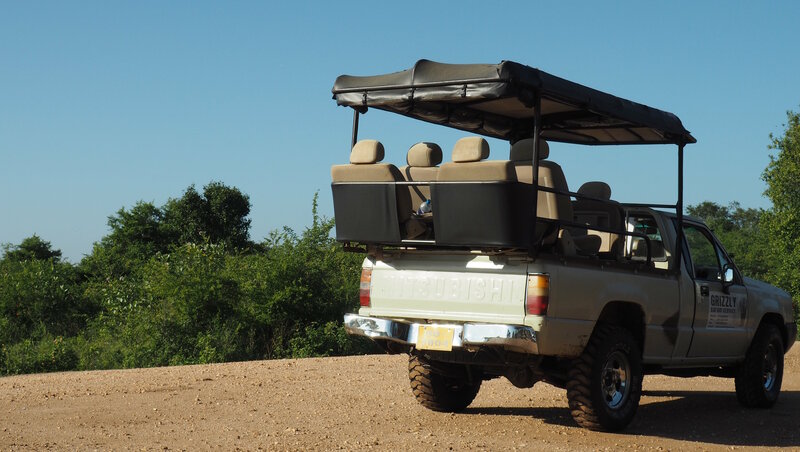 In evening we heard that Ath Paura should have one of the best safari drivers of all the other hotels. So, we were happy and went to our damp bed early. Getting up at 5:00 am for the morning safari got rewarded with a beautiful sunrise as well as herds of elephants, crocodiles and hundreds of water buffaloes. After breakfast, our Uda Walawe stay was already over and we went back to our beloved Hikkaduwa. If you do not want to stay directly in Uda Walawe or another place is more convenient for your onwards journey you can also stay in Embilipitiya (which I did not manage once to pronounce half-way correctly). The small town is located 21 kilometer from the park entrance. Summing things up “Yala National Park or Udawalawe” is not an easy easy decision. In the end we would recommend to decide based on the route you take. Some people said that the one is better others had a different opinion. In the end you will have a great time in both parks. Important while in Sri Lanka, that one Safari is on your list. ➳ You can’t decide which matter of transport to choose?